Everyone has it, right? That one thing that is your sign that spring has finally arrived. For some people it’s seeing the first bulbs poking up from the mulch in their gardens. Others might be more attuned to the day the sap starts to flow in the maple trees. For me, it’s the first day I hear the calls of Red-winged Blackbirds or Killdeer. And today was that day, so I hereby declare the end of winter. Finally. Yes, there’s still snow on the ground here in Michigan and we’ll most likely have to endure more of it before we’re through. But now that I’ve heard the calls of both of my avian harbingers of spring, I feel the weight of winter melting off my weary shoulders. Hallelujah! 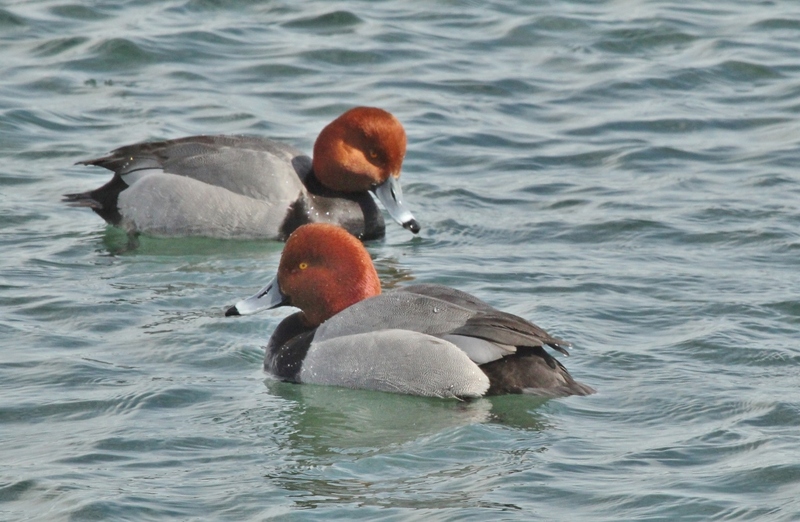 Today I went to Lake St. Clair Metropark because I knew I could find these birds there. I walked the trails for a half hour, passing the marsh where the blackbirds were already trying to out-shout each other from the tops of the cattails. 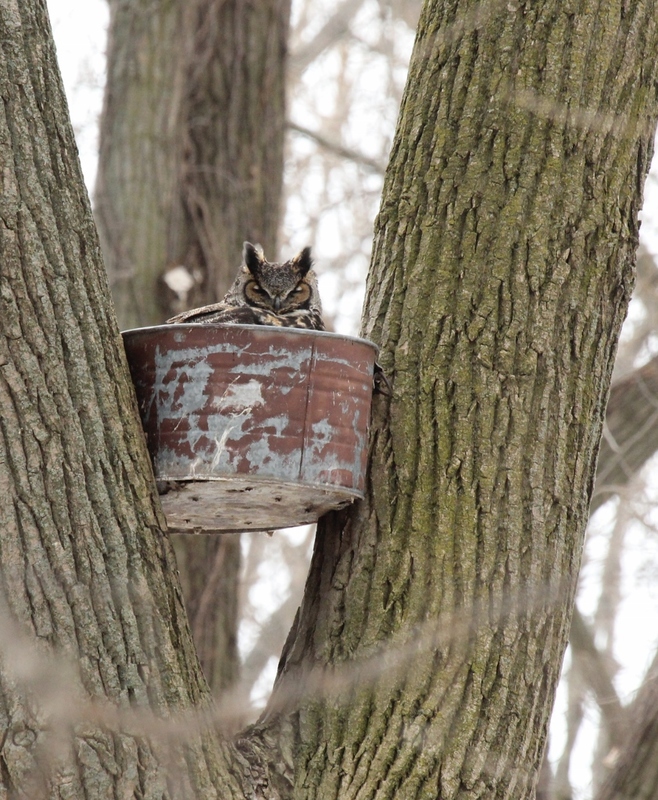 I visited the Great Horned Owl bucket and found one of the adults already sitting there, as expected. 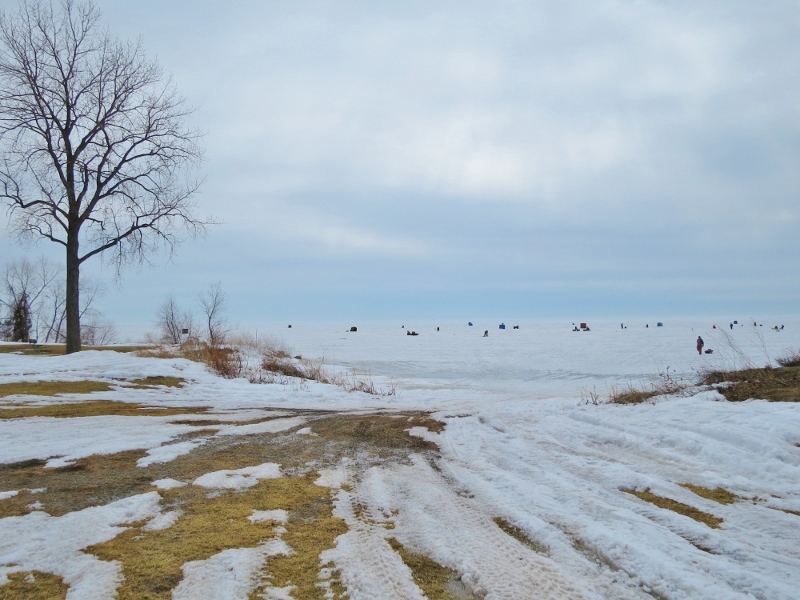 I went over to check out the lake and found it still frozen solid, its surface speckled with ice fishermen and their tents. 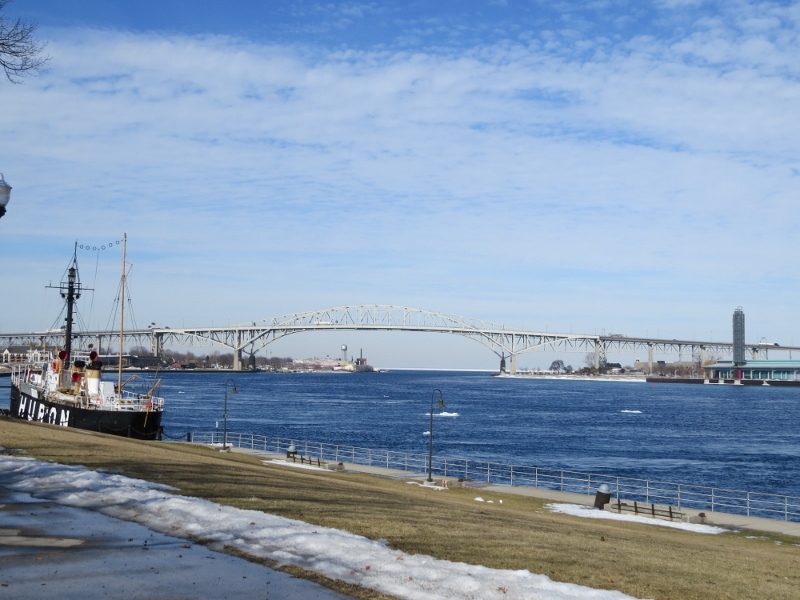 So I decided to drive up to Port Huron, where I knew the river was ice-free. 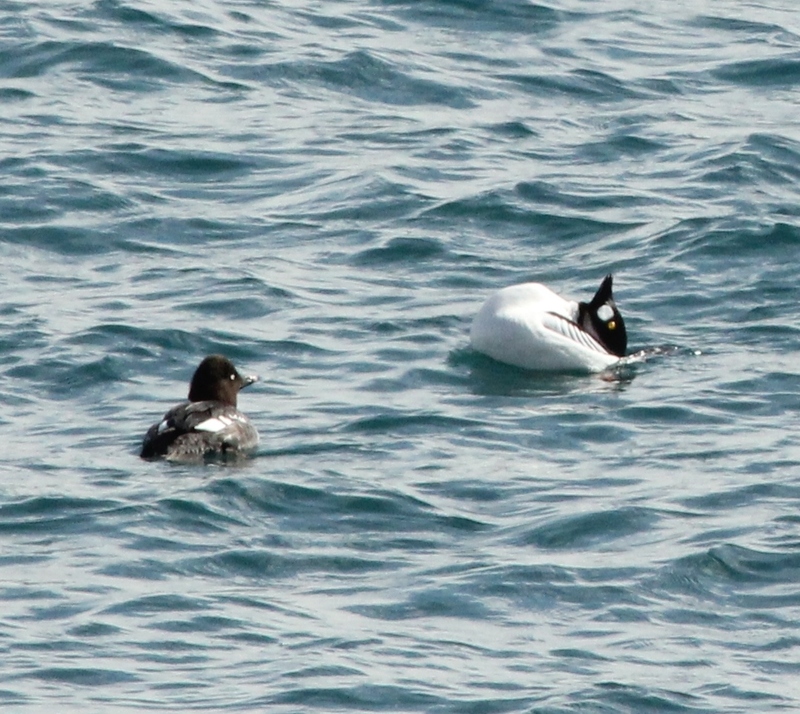 I wanted to see if I could find the King Eider that’s been there lately. I didn’t find it, and there wasn’t much other duck activity on the river today either. I spent a couple hours driving to various little parks and viewing areas along the shore, finding only scattered small groups of a half dozen species. 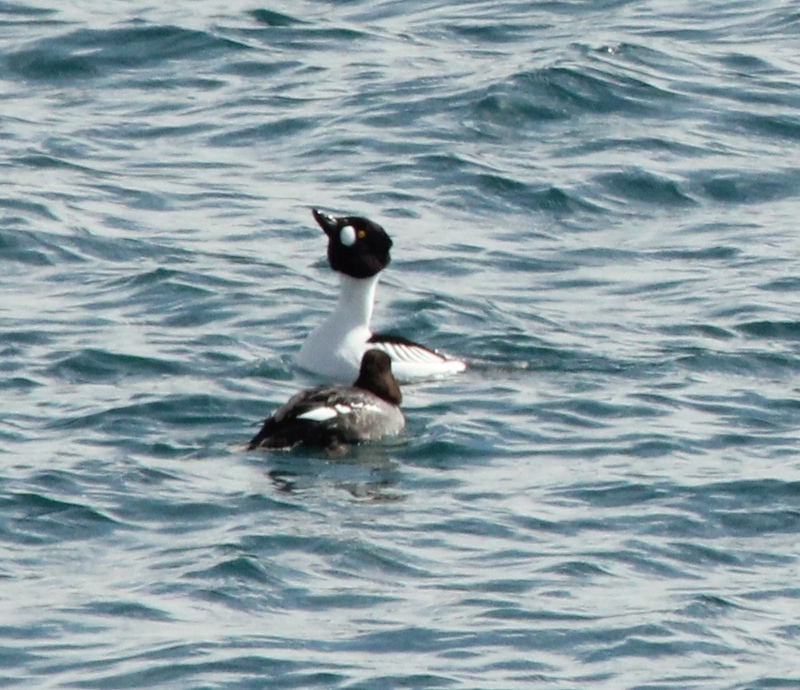 There were Common and Red-breasted Mergansers, Long-tailed Ducks, Redheads, a few Scaup, and some Buffleheads. And the only ones that weren’t really distant were the Redheads, so they’re the only photos I didn’t have to crop a great deal. Aren’t these beautiful ducks? Just look at the golden eye on this male…and the water droplet on his back (you might have to click on the pic for the larger version). 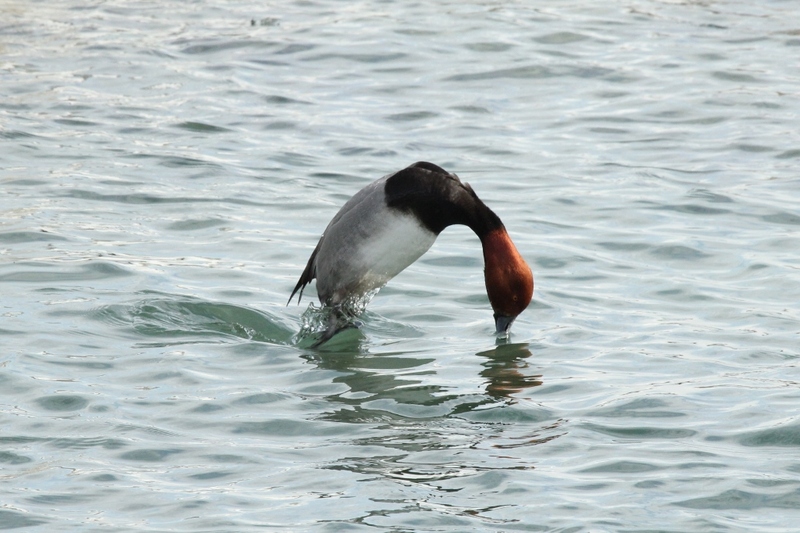 Redheads are diving ducks, so they’re always entertaining to watch as they leap out of the water and dive below in search of tasty morsels. 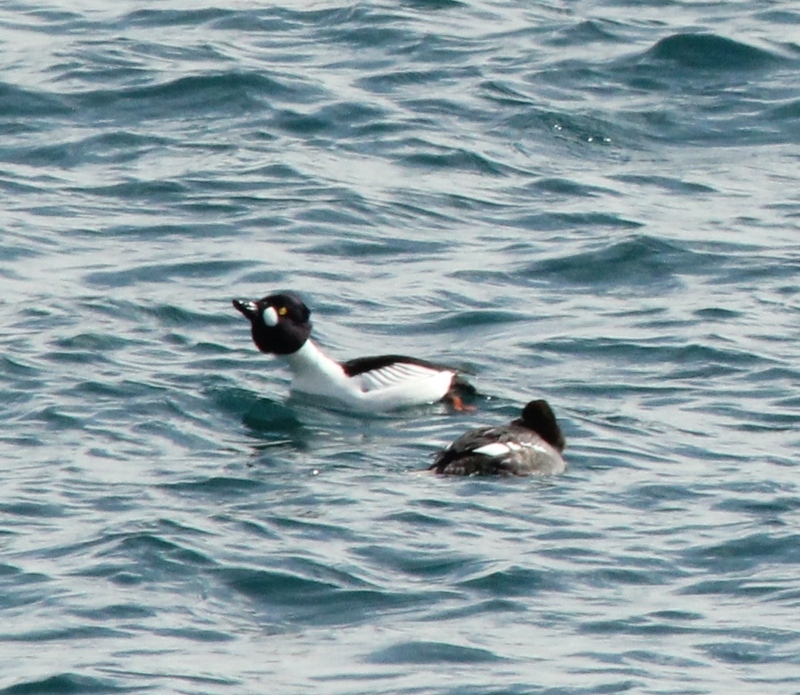 But the most entertaining group of the day was this gathering of seven Common Goldeneye, five males and two females. They seem rather calm, don’t they? Well, don’t forget, it’s spring. And that means one thing to them: It’s time to find a mate. The mating display of this species is quite the spectacle, even for us humans. I made a video of it but something happened to that file, so I’ll just have to share some still photos. Ah, he seems to have her attention with this first fancy move. Now let’s show her how tall I am…. …and then the big finish! So baby, what do you think? Wanna date me? Even though I didn’t see lots of birds today, the ones I saw were special and interesting. And even if I hadn’t seen any of these birds, this still would have been a great day — exercise, fresh air, sunshine and–most importantly of all–melting snow!! I hope you’re finding time to get outdoors too. Being outside is always a good thing, but right now, at the end of winter, it’s really and truly good for the soul. So what’s your “one thing” that means Spring? This entry was posted in Ecotherapy, Migration, Walking in the Woods and tagged birds, courtship ritual, ducks, mating display, Spring. Bookmark the permalink. Lovely photos, Kim! My sign of spring is the arrival of robins. 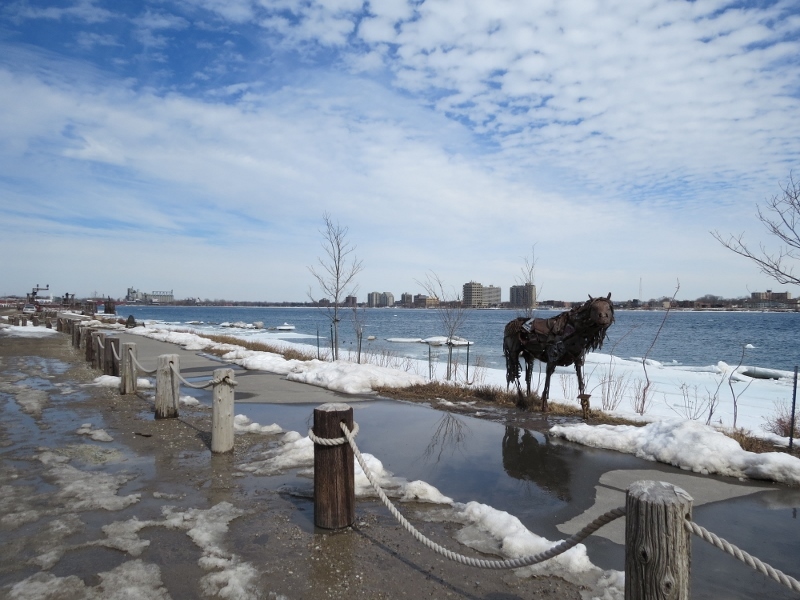 Our spring seemed to show up about mid February, and then all of a sudden an Arctic winter blast hit the end of the month. Fruit trees are blooming and the weeds are sprouting up everywhere… now if we can just get some good, heavy rains to get the tree pollen down. I’ve been miserable with allergies. I think the worst ever! Oh no, spring allergies are miserable. Just when you’re itching to get outside and enjoy the weather or take care of chores, you have to suffer for it. I’ve noticed you haven’t written a new blog post lately and was wondering if you were okay. I hope you get some rain very soon so you can feel better! 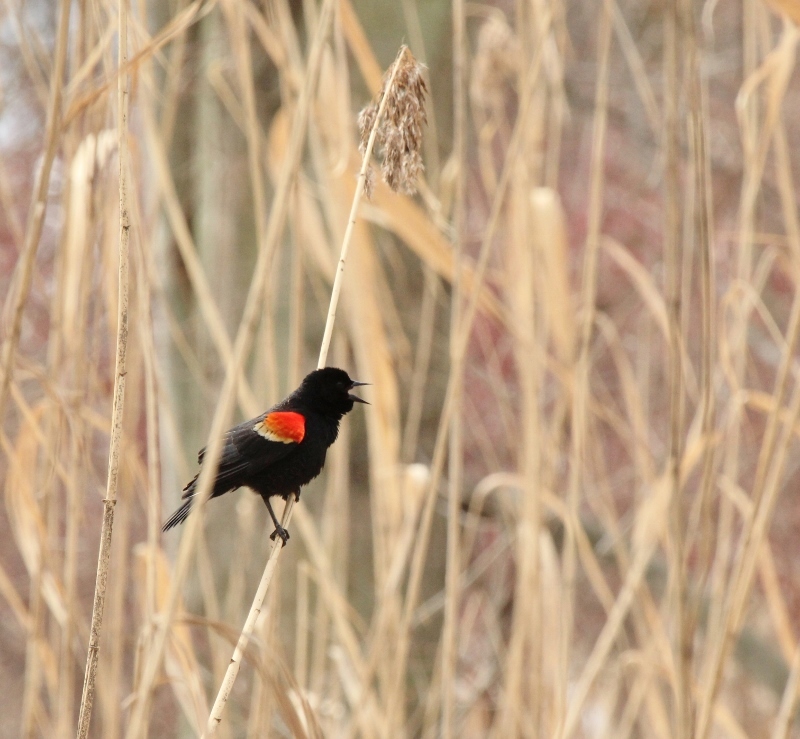 The second I looked at your picture of the Red-winged blackbird I could almost hear its call. I grew up in a place where their spring song was always in the background. They are gorgeous birds. For me there are several things that signal spring has arrived. One of those is the first time I hear a bumblebee buzzing around our yard. Wow so beautiful, love the shot of the owl Kim, you are blessed to have so many beautiful birds around, even in the colder weather. Thanks as always for sharing your awesome captures. Thanks, Kath. You know, the surprising thing is that there are birds around us all the time, in all seasons, if we just learn where to look. I didn’t even notice birds for the first 40 years of my life, and I was stunned at how much I’d missed after I started paying attention. Indeed I agree aren’t you glad you notice them now? You have such a beautiful gift in capturing them Kim. I have always loved birds and now that I live out of the city I get to see many kinds, it is always a blessing to me when they stop by to say hello. Yes Im a mad bird lover/cat/dog/ its a bit crazy but it makes me happy. Love this, Kim! Thanks for all the great sightings and taking us along on your drive. 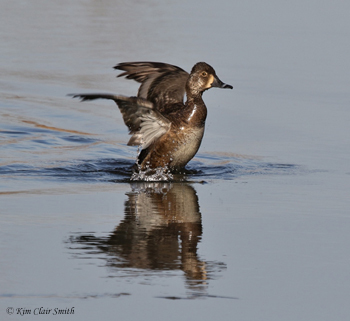 I never got to look for ducks this winter so I especially appreciated those photos. And the Great Horned Owl shot is priceless! Glad you enjoyed it, Judy. It was definitely a day worth sharing. Nice article Kim. You got in a full day for sure. Yep, it’s been a while since I spent that much time birding. I’ve been indoors too much this winter, that’s for sure. OHHH, I could feel and smell spring in this story! Such awesome pictures. I miss the Midwest spring thaw, all the smells, the sounds of all the birds, seeing some green as the snow melts, the first flowers, but you were able to help to bring me there. Thank you Kim! Sharee, thanks for telling me that — glad I could revive those memories for you. 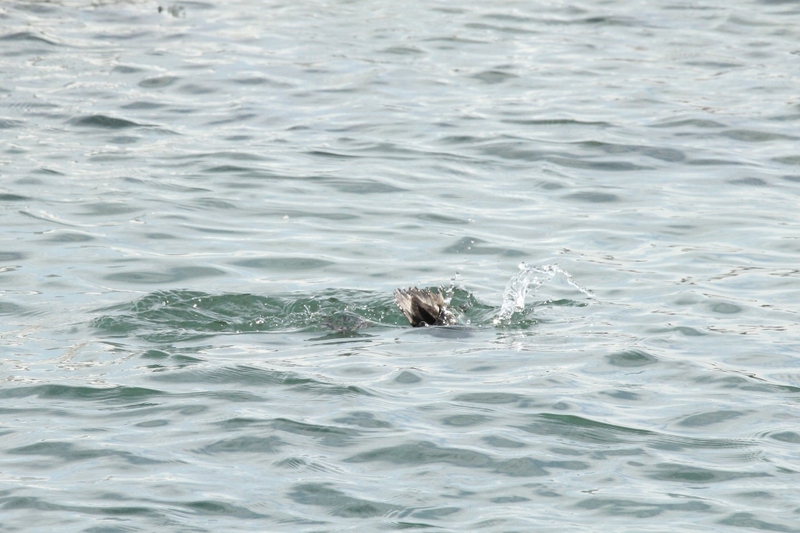 Thanks for sharing your wonderful trip and sightings with us Kim. Your writing is so descriptive, I felt like I was at your side. My sightings of multiple Robins this week, has signaled the arrival of spring to me. With the warming temps in the forecast, I’m certain to be on a nature trail somewhere this coming week. Who knows…..I just might find you there! Thanks for the kind comment, Rob. I hope to see you out there!